The forehead, brow, and crow’s feet are areas of the face that can give away your age or even make you look older than you are. After all, everybody has stress, difficult days and numerous concerns, and sometimes these can cause worry lines to appear on your face. But there is no reason why you shouldn’t look your best at all times – during work, during play, raising your children, enjoying romantic evenings, keeping pace with your younger co-workers, engaging in sports, and even enjoying your grandchildren. With BOTOX Cosmetic®, you can realize all of these dreams. What can BOTOX Cosmetic do for me? BOTOX Cosmetic ensures that looking your best means not relying on foundations that require constant reapplication or your bangs to cover those unsightly forehead wrinkles. It also means not subjecting yourself to unnecessary cosmetic surgery and the subsequent recuperation period. BOTOX Cosmetic is a simple prescription medicine that is injected into the muscles of the forehead, crow’s feet, and other facial areas. Its effects include improvement of wrinkles of the forehead, between the brows, crow’s feet, and bunny lines. In some patients, it may also provide a lift to the brows, eyelids, and pick up the corners of the droopy sides of the mouth. BOTOX Cosmetic is appropriate for individuals between the ages of 18 and 65, and its effects are temporary initially but have shown degrees of permanence after sequential treatments space 3 months apart. The way BOTOX Cosmetic works is simple. The BOTOX molecule blocks nerve impulses to the muscles that have been injected, thereby reducing the activity of those muscles. It is this muscle activity in the face that causes wrinkles, so by reducing this activity, the face is given a younger, lifted, more carefree appearance. The best thing about BOTOX is that its results are very real and noticeable, yet no recovery time is needed. You get your BOTOX injection, and as soon as you have emerged from our office, you are ready to go about your day. Around 11.8 million procedures involving BOTOX cosmetic have been performed in the United States since the procedure was first popularized in 2002. Surveys have shown a 97% satisfaction rate with the results of the procedure as women reported a more youthful, rested appearance, innumerable complements on their looks, and more confidence in front of cameras, strangers, and in social situations. People will notice, but they won’t quite know exactly what you did because the results are natural. Why should I get BOTOX from the Edgewater and Weehawken Medspa? When you receive your BOTOX injection from Dr. T.G. Khan, the expert injector at Edgewater and Bayonne Cosmetic & Laser Centers, you can rest assured that you are in good hands. Dr. T.G. Khan, the facility’s medical director, is a board-certified physician and surgeon as well as a Fellow of the American College of Surgeons (FACS) and has over 12 years in administering cosmetic injection and laser treatments. 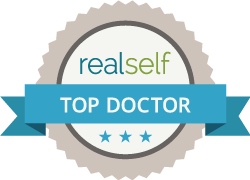 His vast years of education in all aspects of today’s cutting-edge cosmetic procedures ensure that you will receive thorough counseling as to which procedures, surgeries, or therapies are just right for you. And Dr. T.G. Khan maintains a minimum of 30 hours per year in Continuing Medical Education (CME) to insure his clients receive the very best and latest injection techniques and laser applications. The fact that Edgewater and Bayonne Cosmetic & Laser Centers do offer at least 18 different cosmetic procedures means that Dr. T.G. Khan has the freedom to recommend the ideal procedures for you and the confidence to know his facility can provide them with safety. Dr. T.G. Khan’s specialized experience in noninvasive cosmetic procedures makes Edgewater and Bayonne Cosmetic & Laser Centers the obvious choice as your partner in the process of enhancing and maintaining your youth and beauty. Call Edgewater and Bayonne Cosmetic & Laser Centers today at 201.313.8899 to set up an initial consultation. You will be glad you did and we look forward to seeing you in our office!